Travertine is a popular natural stone material that you can find on the floor and walls in a wide range of different rooms. The unique look of this natural stone is also special since it can be used in many different styles of homes and businesses, ranging from traditional to transitional and more modern spaces. Are you thinking about installing travertine tile in your home or office as part of a building project, remodel or upgrade? 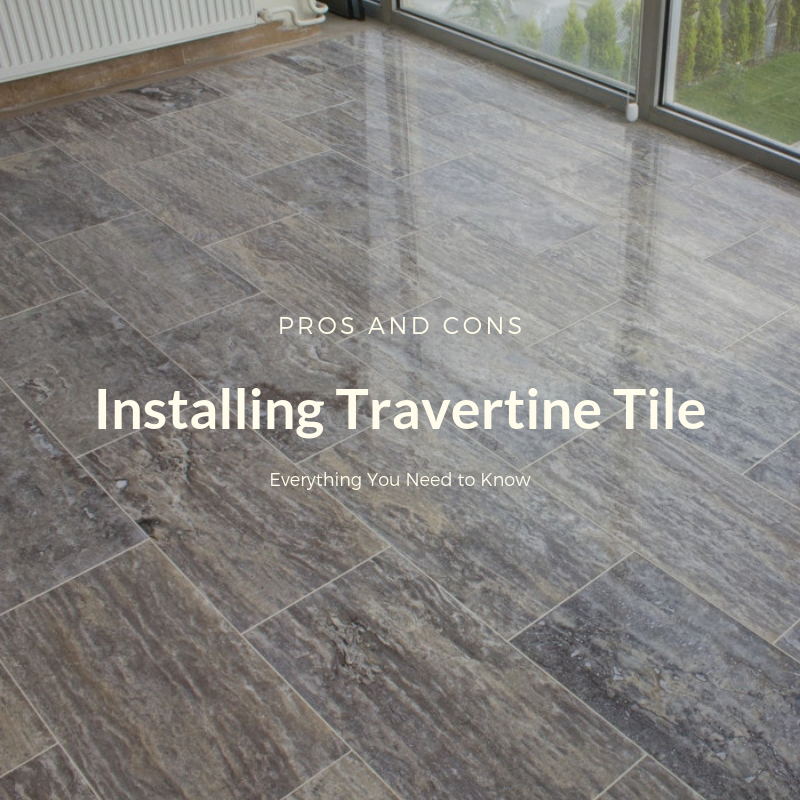 Use this guide to learn the pros and cons of installing travertine tile so you can make an informed decision about what’s right for your space. Travertine won’t show easily show scratches, cracks or chips. Day to day wear and tear just doesn’t put that much stress on strong, solid travertine tile. You won’t have to take on big repair bills for things like refinishing. These are costs often associated with elegant, but less durable floors made from materials like natural hardwood. Travertine will age naturally. There’s a reason so many older homes and commercial buildings have the same natural stone tile decades after they’re installed. Looking for maximum durability from your travertine tile? Go with natural-finish tiles. They’re less likely to suffer damage or show unsightly blemishes than honed and polished style. Each tile is unique. Each piece of travertine features speckles, swirls and markings made by nature. These unique, impossible to simulate markings add great depth to any room. Travertine is neutral. Off-white, tan, beige and speckled tones mean that travertine can fit in with any décor style whether you’re utilizing antiques or ultra-modern furniture. It’s timeless. Used for centuries, travertine tile never goes out of style. That’s good for your décor and your resale value. Travertine tile is easy to repair. While travertine is hard to damage, it can happen in the wrong situation. The good news is that broken travertine tiles can be easily removed so new ones can take their place. Keep a few extra tiles around when installing travertine so you get a perfect color match. 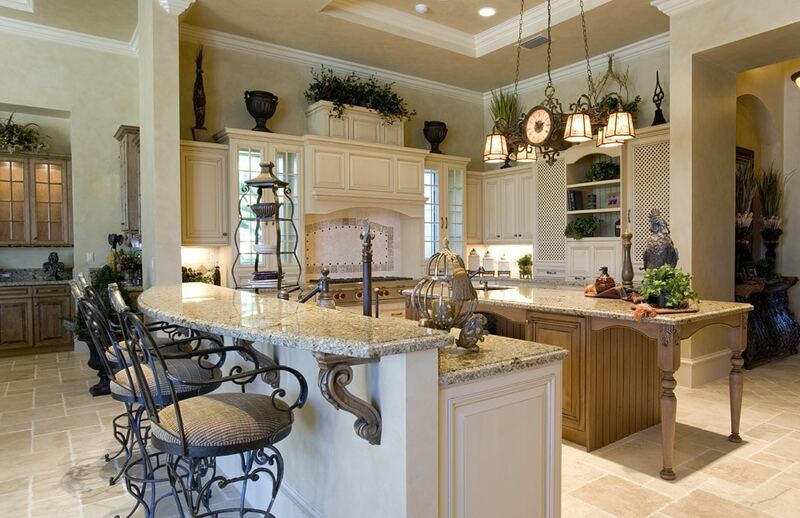 Many people prefer the look of weathered travertine. In fact, it’s often prized over newer styles for it’s gorgeous appearance. All you need to do is basic maintenance to allow your travertine tile to age gracefully. You can keep your travertine looking new, too. Don’t want that weathered look? Seal your travertine on a schedule and you’ll have stone that looks brand new for many years to come. The weight of travertine makes installation more difficult. Skilled professionals will need to handle the installation process for you. You’ll need a strong subfloor. In some cases, alterations may need to be made to your subfloor as part of the installation process. Shipping costs can be higher. However, if you get your travertine tile locally you may not have to worry about costly freight charges. Natural stone is expensive to buy. Travertine tile can last for decades, but the initial material cost is often higher than other materials. It’s heavy and requires trained professionals to install. Subfloor improvements, cutting, adhesive and grout can also run up the price tag. Travertine tile can be hard. 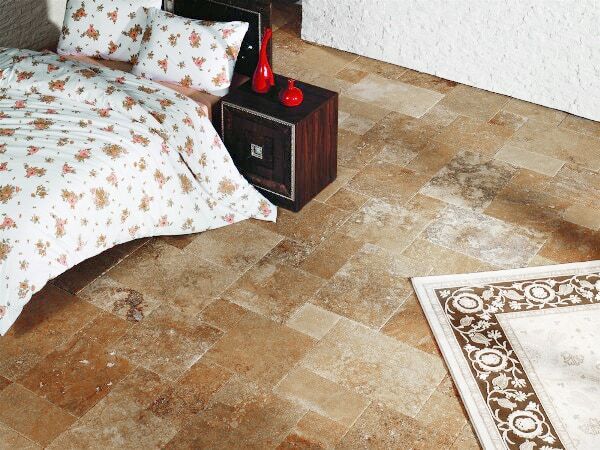 In a bedroom or space where you often go barefoot, some people don’t like how natural stone feels. Rugs can help with this problem, but may not be ideal for everyone. 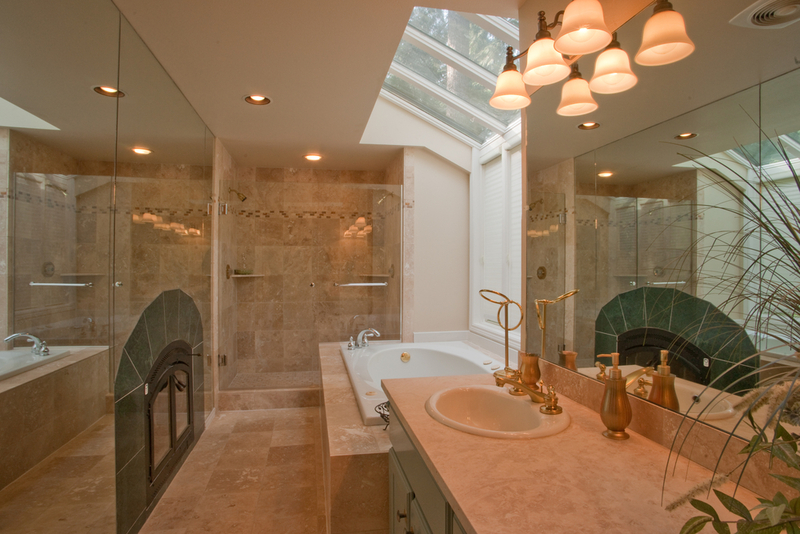 Natural stone tile like travertine can be cold. Travertine retains heat well, but in the winter months, it may feel cold on your feet. Travertine can be slippery. Natural stone is commonly used in bathrooms for its durability, but some people find that it isn’t the ideal material for them. Travertine tile is an incredibly popular choice in homes and commercial buildings throughout the world. If you’re looking for a high-end look that’s durable and timeless, you won’t be able to beat travertine. However, a few cons can hold some people back, including cost and feel. Is travertine tile the right option for your next project? Don’t be afraid to reach out to our experts to learn more about the pros and cons, as well as how the installation process works in most spaces. 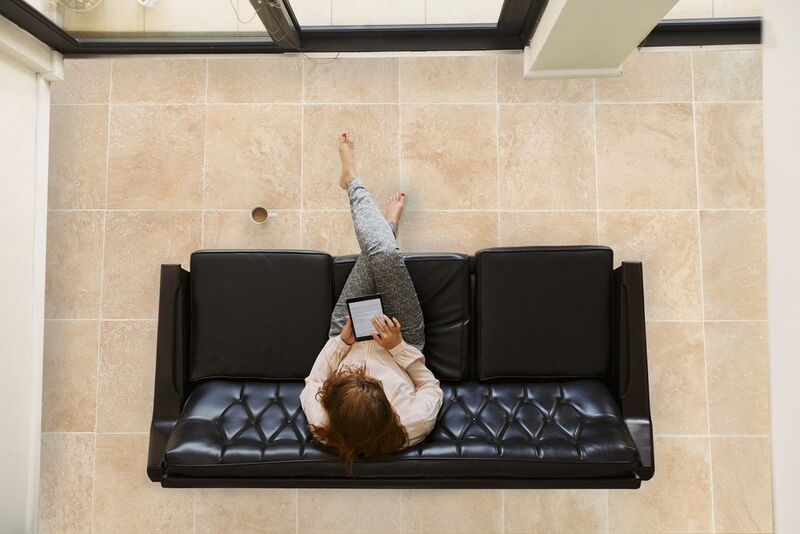 We’re here to help you find the right flooring option to suit your style and long-term needs.